for working moms. We are not a Franchise. foundation for their development. Leave it to us. you will get a written summary of your child’s day. DID YOU KNOW? The Clubhouse was voted “Best Child Care Center” in Derry & Londonderry. Also – The Clubhouse is a License Plus Center. We Exceed NH Licensing Standards! The Clubhouse Child Care Center in Derry, NH was established by Monika Farrington. Being a working mother herself, she wanted a center that would support working families. Not finding what she needed, she opened The Clubhouse (named by her sons) in 1987.We are a private educational center offering a child care program for infants and toddlers as well as full day PreSchool, Pre-Kindergarten and full day Kindergarten. We offer a small classroom setting in order to provide the best learning environment for your child. Our facility has five individual classrooms, one for each developmental stage. Our curriculum includes an introduction to Spanish as well as American Sign language as a second language and it starts with our infants. We have a cook on staff who prepares healthy, home cooked meals for your child. Also included are formula, baby food and cereal for our infants. This is included in our tuition. We are located at 13 Peabody Road, Derry, New Hampshire, directly behind Hood Plaza. You can reach us from Pinkerton Street. Our red school house is the fourth building on the right. 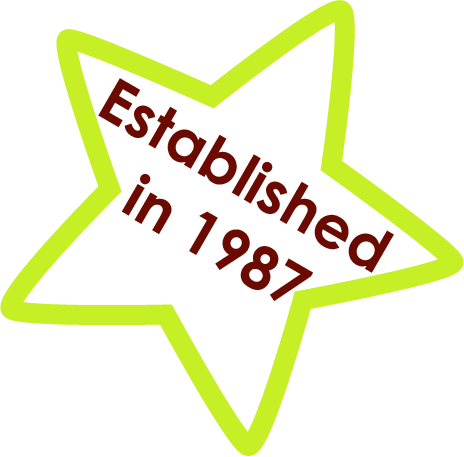 We opened our doors in March of 1987. At that time, our school was located in the heart of downtown Derry in the old train station. In January of 2001 we moved to our new school. We accept children on a part-time and full-time basis. We are open from 6:30 AM to 6 PM. The Clubhouse Philosophy entitled “Two Sculptors” emphasizes our commitment to our families. Stop by for a copy!